My friend Alex is visiting me; he's been here in London since late Saturday night and he's returning to Copenhagen early tomorrow morning. 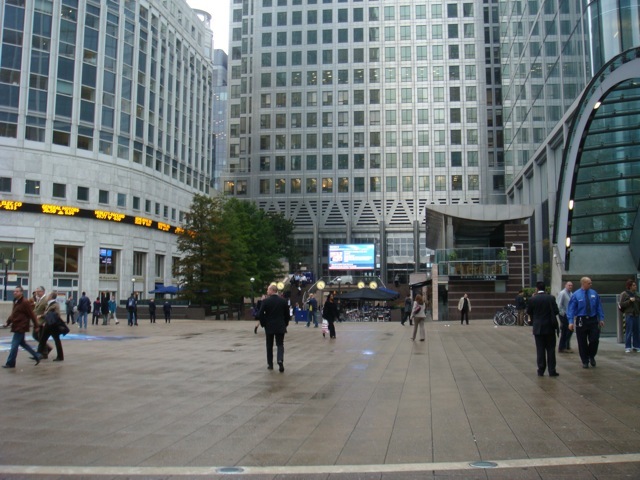 Since he's been here, we've done some more exploring of London. On Sunday, we went to Abbey Road! 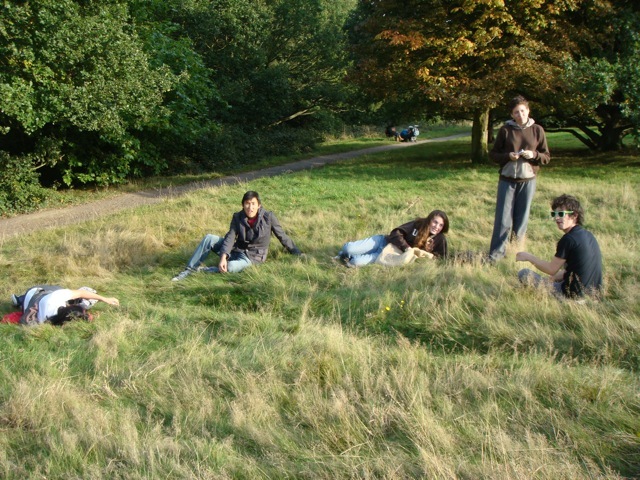 It's a lot harder than it seems to recreate the Beatles' album cover! We tried several times, but it always involved dodging traffic and getting everyone perfectly synchronized, while taking turns with other tourists. 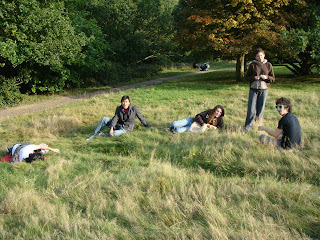 After Abbey Road, we explored beautiful Hampstead Heath, a slice of countryside in the middle of the city. It's a really nice area, with plenty of cute boutiques and that neighborhood-village feel. On Monday, we went to Greenwich. 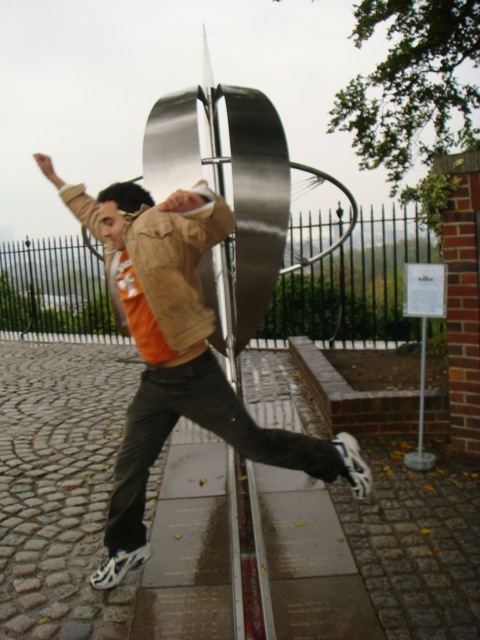 We visited the Royal Observatory, and stood astride the Prime Meridian! So yes, I have now been in two hemispheres at the same time. Now I just have to get to the equator. And today, I had two classes, so after I was learning the linguistics of global English (and dealing with a fire alarm that went off during class! 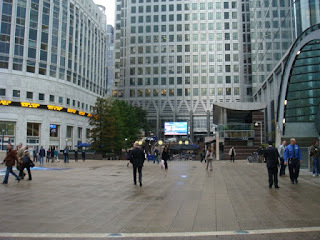 ), Alex and I had lunch and he went off to central London to explore and meet up with a friend.